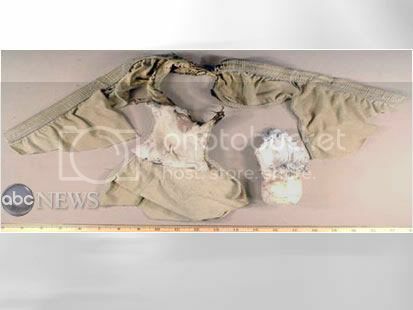 Here are photos of the "Underwear Bomb" obtained exclusively by ABC News. 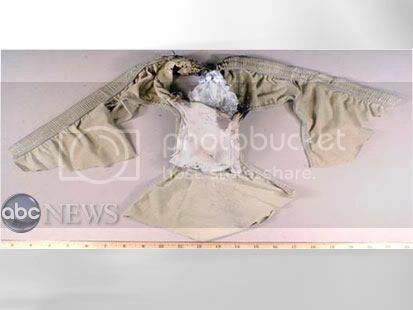 The first photo shows the small packet containing 80 grams of PETN - an powerful explosive powder - sewn into the lining of the underwear worn by Abdul Farouk Abdulmutallab aboard Northwest Airlines Flight 253. Tests have reportedly shown that 50 grams is enough to blow a hole in the side of an airliner. The second photo shows the packet separated from the underwear. 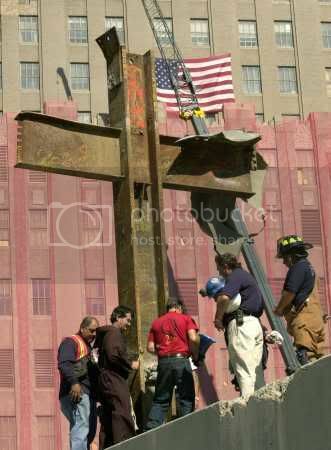 Read all the details at ABC News.